Late check-out until 3.00 p.m. (subject to availability). Discover Benidorm in a different way. 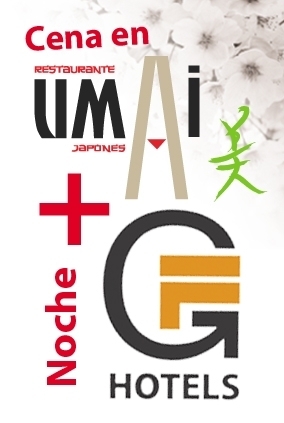 Let yourself be seduced by our Japanese menu at the Umai restaurant, included in this special getaway designed for you. We know that you love to enjoy and travel in an original way. Book your dinner at +0034965850147. Monday closed, we are sorry!